A San Patricio County coalition offered a compromise to Port of Corpus Christi commissioners concerning a bid for two more seats on the board as the six current board members approved a resolution stating their opposition to the request. The unanimous vote to adopt a resolution opposing any legislation that would add two commissioners representing San Patricio County to the seven-member board was taken at a meeting Feb. 7. The coalition countered that it would most likely seek such legislation in an attempt to force the move. Currently, the board is made up of three appointees from Nueces County Commissioners Court, three from Corpus Christi City Council, and one from San Patricio County Commissioners Court. Nueces County is down by one representative since the resignation of member Barbara Canales, who was recently elected to serve as Nueces County judge. The one year left on her term of office will be filled by Catherine Tobin Hilliard, who was named by the board Feb. 8 but won’t be sworn in until Feb. 19. The newly formed San Patricio Coalition on Port Governance originally asked last fall that the Board of Commissioners be expanded to nine members, three of whom would be appointed by San Patricio County commissioners. The coalition proposed a compromise at the Feb. 7 meeting: that the two new members would be given all the background information a board member receives and would attend all meetings, including executive sessions, but not be able to vote. The two members also would be able to put items on the agenda. The port’s stand is that each board seat is based on population and, with only 67,000 people in San Patricio County, a single member is appropriate representation. To add two more would offset the balance of representatives per percentage of population. 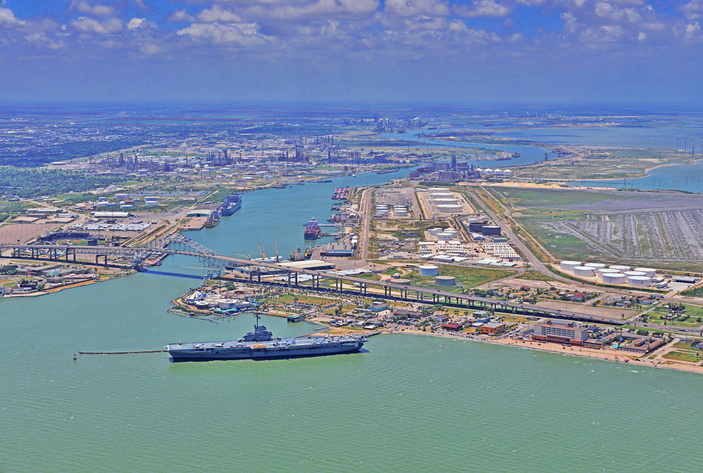 The coalition argues that most of the new industries affected by port decisions are in San Patricio County, including a $10 billion plastics plant under development by ExxonMobil, outweighing the board member-to-population ratio argument. In response, San Patricio County Judge David Krebs said the coalition had enlisted state Rep. J.M. Lozano (R-Kingsville) to file legislation during the current Texas legislative session to expand the board. Lozano told reporters he would be asking state Sen. Judith Zaffarini to file a companion bill in the Texas Senate. He also said he was seeking more input but expected to have a bill ready in three weeks.